The Women’s Resource Center recognizes that a good education is the best way to avoid a life of poverty. One of the most critical times in a young woman’s educational career is her passage from middle school to high school, when she leaves her childhood and enters her teenage years. The Women’s Resource Center helps eighth-grade girls prepare for their passage into young adulthood with the “Keys to High School Success” Conference held each spring. About 250 girls from La Plata County learn from peers and adult women how to negotiate life’s trials and tribulations that may interfere with their education. The program now incorporates a separate conference for 8th grade boys on the same day as the girl’s conference. The 2019 conferences will be held at Fort Lewis College on May 2nd. 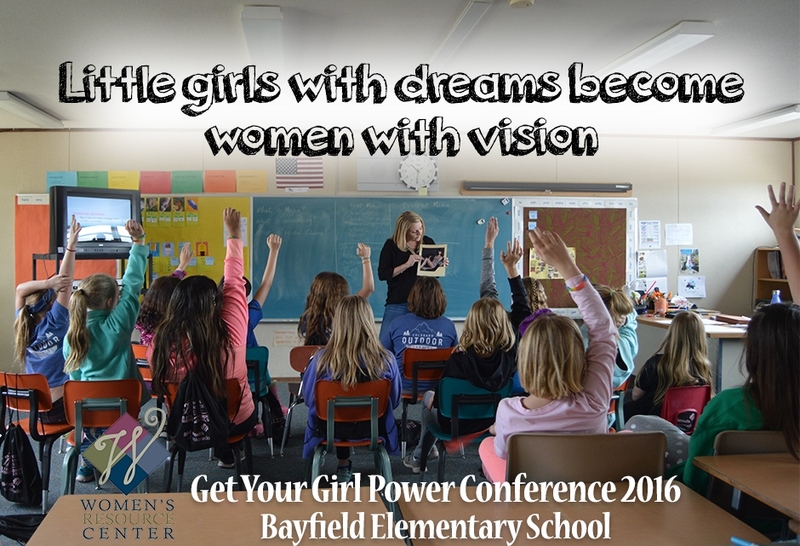 The Women’s Resource Center offered the 6th annual “Get Your Girl Power” Conference for fifth-grade girls this year . This conference is to encourage more young girls to embrace their intelligence, strength and body image. “Get Your Girl Power” is modeled after WRC’s successful “Keys to High School Success” program established in 1999 with a grant from the Women’s Foundation of Colorado. Read more about the Educational Opportunity Program here . . .